In the state of Montana, receiving a DUI conviction is a serious situation. If you’re convicted with a DUI, you could face penalties that span the gamut from a fine all the way up to lengthy prison sentences. In most cases, you’ll have to install an Ignition Interlock Device (IID) even after your first offense. Understanding Montana DUI laws is critical, especially if you’ve been charged with or convicted of a DUI. However, the legal system can be complicated, and determining which laws apply to your situation can be difficult. Here are the basic Montana DUI laws that every driver in the state should know. In the state of Montana, it’s always illegal to drive if your BAC level is 0.08% or higher. This law applies to every driver, regardless of age or occupation. However, if you are an underage driver, having any alcohol in your system is illegal. Here are some BAC laws you should be aware of if you’re driving in Montana. Under 21 – If you’re under the age of 21, a BAC of 0.02% is illegal. If you’re pulled over and your BAC test shows any alcohol, it’s automatically considered to be illegal because you’re not of legal drinking age. Under 18 – Any measurable sign of alcohol while driving a vehicle is illegal in the state of Montana. In some cases, you may be required to go to juvenile court. 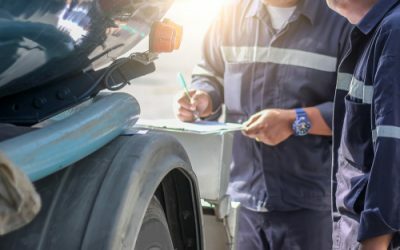 Commercial Vehicle – If you’re driving a vehicle that requires a commercial license in the state of Montana and you’re given a sobriety test, any level above 0.04% is considered illegal due to the fact that commercial drivers have increased responsibilities and often have larger payloads than the average commuter. Aside from age restrictions, you’ll also face a variety of penalties depending on your specific situation. 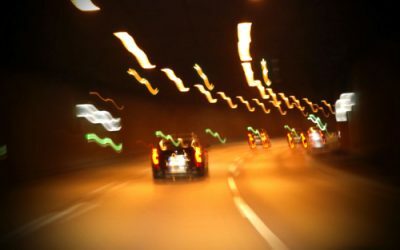 Montana DUI laws assign different penalties to different drivers depending on how many offenses they’ve had in the past for driving under the influence or drunk driving. 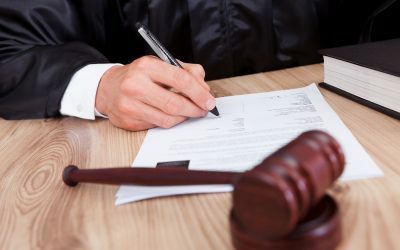 While each situation is different and it’s important to consult your attorney for case-specific information, here are the basic laws governing Montana DUI convictions. In the state of Montana, your first DUI offense can carry with it some steep penalties. Here’s what you can expect if you’ve been convicted of a DUI/DWI in Montana for the first time. Fines from $600 to $1,000. License Suspension of a minimum of six months. You’ll automatically get a suspension of a year if you refuse to take the BAC test. Imprisonment of 24 hours to six months depending on your BAC level and other circumstances. IID installation – You’ll likely be required to install an IID device in Montana by a state-approved vendor. The length of time during which you’ll have to utilize the IID varies by case. If you’re caught drinking and driving for a second time in Montana, you’ll be imposed to the same variety of penalties that you were on your first offense. However, the severity of most of these penalties will be increased. You may be subjected to any one of the following penalties, or a combination thereof, if you obtain a second DUI conviction in Montana. Fines from $1,200 to $2,000. License suspension of a minimum of one year with an automatic suspension if you refuse to take the BAC test. Imprisonment lasting from two weeks to a year. While the fines remain about the same for third-time DUI offenders in Montana, the prison time and length of license suspension can increase greatly. Here’s the typical set of penalties you’ll be facing if you’re convicted of a third DUI in Montana. Fines from $5,000 to $10,000. License suspension to last a minimum of one year with an automatic suspension if you refuse to take the BAC test. Imprisonment from 60 days to a year. Unfortunately, if you’ve been issued a license suspension in Montana, you’ll probably have to wait out your suspension before you can get your license back. While many states have restricted driving permits and licenses available, Montana doesn’t. That doesn’t necessarily mean your attorney can’t negotiate for you if it would cause you undue hardship to be without driving abilities (i.e. if you have to get to work or you’ll lose your job and public transportation isn’t available near you), but most of the time you have to wait it out. To get your license reinstated after you wait out your suspension, there are steps you have to follow. Usually, the requirements for reinstatement go something like this. Take the driver’s license knowledge test. If you’ve been convicted of a DUI in Montana and you’re required to install an IID, that installation will be initiated by a court order. Once you receive the order from the court you can go to a state-approved service provider for your IID installation. Depending on your county and unique situation, your court order may require you to have an IID installation that comes with a DMV connection. Only a state-approved and registered service provider will be able to fulfill the court order and help you get back on track.